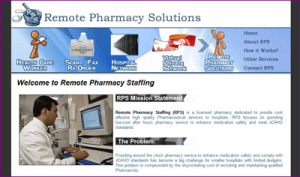 Project Description: RemotePharmacy.net provides pharmaceutical solutions to hospitals. Administrator controls pharmaceutical tests and associated questions. Creates member profiles and controls access to testing area. Administrator can upload documents related to one member or all members; documents can be uploaded for client review also. Member logs in to select a test to take. Test can be saved to be completed later. Grading is performed immediately after test completion and score is shown to member. Member controls their profile data and can upload their picture. Clients access the site to search for qualified pharmacists. They are able to list or search for pharmacists, view their profile including test scores and documents uploaded by the administrator. 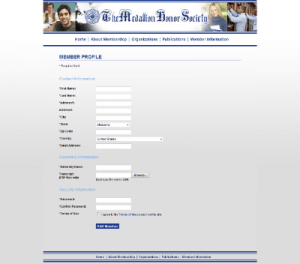 Project Description: Honor society membership management system. Site visitors can register for membership and pay required dues. Members can view university chapters list and article archives. Articles can be searched by keyword or tag. Members can view and download articles. Administrator can add, edit and delete chapters. Articles can be added in administrative area or uploaded in pdf or doc format. Sponsor management with add, edit, delete capabilities of sponsor logos. Registration fee can be edited. Ability to add, edit, delete, view, list, activate and suspend members. 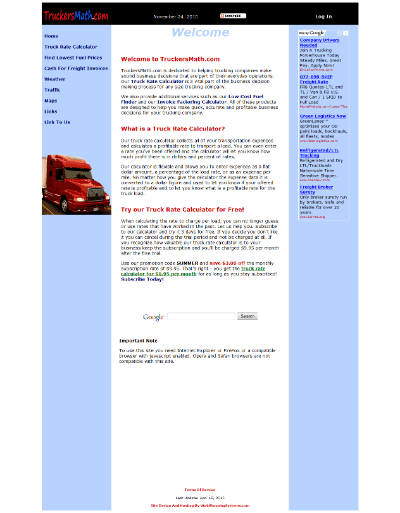 Project Description:This site is a truck salvage auction site created for the insurance industry. Customer data, billing and credits downloaded to QuickBooks via QuickBooks web connector. Download starts automatically when QuickBooks is opened in customers’ office. Project Description:This project was to create calculators and utilities to aid truckers in their daily activities.Subscription to service is paid via credit card with immediate access to online services. Created a truck rate calculator. 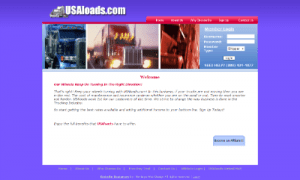 Calculator accepts all data related to transporting a load and advises transporter of potential profit or lack thereof. Also suggests a profitable rate to the transporter. Created invoice factoring calculator. This calculator allows the transporter to enter all fees related to factoring an invoice and returns the net profit on invoice. Created fuel finder. This program uses transporters current location, desired travel radius and brand of fuel. It locates the cheapest fuel within the desired radius and links to Google maps.